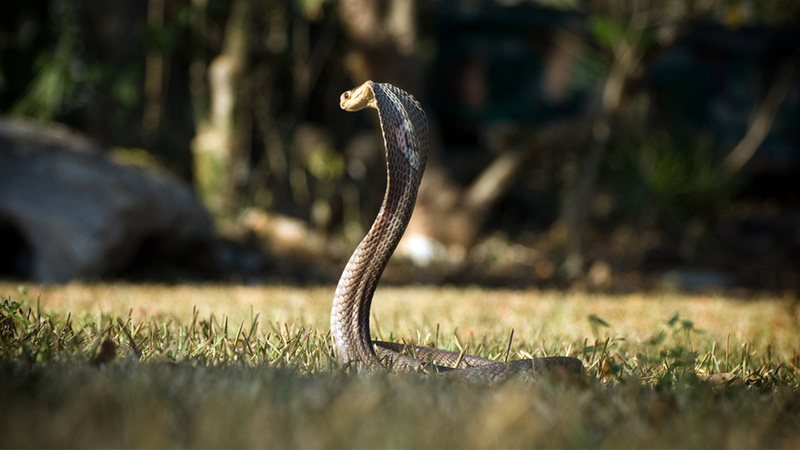 AUSTIN, Texas -- Police in Austin have found the dangerous cobra believed to have bitten and killed an 18-year-old in Central Texas who was transporting the snake in his car. The Austin Police Department posted on it's Twitter account at 2:40am this morning that it has located a dead Cobra snake near the 13,300 block of North IH-35. ABC affiliate KVUE-TV reports the snake is the missing monocled cobra that belonged to Grant Thompson. He died Tuesday night after being found unresponsive in the parking lot of a home improvement store in Austin with a puncture wound to his wrist. Animal control officers then found a nonvenomous snake in a crate, six tarantulas and a bullfrog inside Thomspon's car, but his highly aggressive and venomous monocled cobra was missing. Officers say they found the cobra this morning not far from where it disappeared. They did not say how it died. Thompson worked at a pet shop in his hometown of Temple and the Temple Daily Telegram has reported he would show exotic animals to children.